this statue of a pilgrim is at clonmacnoise in ireland. the site was at the crossroads of the east/west road and the shannon river i.e. bang in the middle of the trade routes. it was founded by st ciaron who only lived there for a year or so but a community was there for hundreds of years (and was ransacked over 40 times by various groups but somehow kept starting over again). this statue reminded me of the one i had seen on lindisfarne a couple of years ago - so powerful and evocative. i have not done much pilgrimage. i have done plenty of retreats. but they are very different things. a retreat is space and silence and reflection and prayer. a pilgrimage (at least in a group) is conversation, journey, stories, exploration, laughter, prayer, community, place (and guiness!). at the heart of this pilgrimage was a quest to try and connect with the wild spirit of irish christianity, and to be inspired by the stories and lives of some of the saints. we'd travel to the place, touch, taste, see, experience, imagine it, and hear the stories of the place. we'd have some of our own space at each place, and in several of the places would pray together and reflect on how the stories connected with our own stories. depending on how people like to process things conversations, journalling, group times, reading and some spiritual direction were all part of the mix. i first came up with the idea for this trip when i read about michael mitton and russ parker's trip to wales a couple of years back. michael's poems caught my imagination and i felt there was something in the stories of the saints that resonated with me, and perhaps with pioneers today. michael and russ agreed to lead a trip for a group of us and so we benfitted so much from their experience and wisdom. Sennach founded a monastery on the island of Illauntannig, just north of Castlegregory on the Dingle Peninsula, Ireland. Visitors to the island can still see the remains of the monastic community, including some beehive cells, a cross, church and burial ground. Access to the island is not easy! for you dream them in your salty sleep. in the fin of a passing dophin. and built your tent from its rough earth? transforming these cold rocks into a vibrant home. to break over the dry, dry land. take me back to these waters. the surgings of your restless heart. your life breaking through the waters my soul at last in tune with yours. the feeling captured in the last verse is what i experienced on the pilgrimage - a longing and stirring for the same kind of wild spirit to be at work in me and indeed in cms pioneers and the church. we're tentatively planning another trip for pioneers next year. give me a shout if you are interested. just back from a wonderful eight days pilgrimage in ireland with a group of pioneers visiting some of the sites of early irish christianity and its saints, trying to imagine and be inspired by the stories. it was a fantastic time. i hope to add a few thoughts about it. first up i have added a set of photos to my flickr pages - ireland pilgrimage. i'm off to ireland tomorrow on a pilgrimage with a group of ten pioneers to visit some of the sites of the celtic saints such as kevin, brigid and brendan - can't wait! no doubt stories and photos to follow. andi mac rocks! he is one of proost's unusual suspects - new talent that we publish. he contacted us out of the blue last year and we published clouds - a quirky movie. last year at the greenbelt unusual suspects session he played vampire love - which we adored - even more quirky! that now has an electro french pop sounding soundtrack and we decided to hold it back for valentine's day so it's just come out this month. he was also one of the artists we featured as part of nine with another brilliant piece. andi is now carving out a niche as a designer, animator, illustrator... and he sent me a link to a piece he has done for SAMS ireland called the parable of the sea. it is stunning - simple, sad, powerful. i have finally added photos from ireland as a photo album. they include a few pics from coordinates - ikon's exhibition currently at the waterfront in belfast of which i had a sneak preview. i absolutely loved this heresy board game. the instructions are in another pic in the album. mist-ical, originally uploaded by jonnybaker. love how this photo came out. 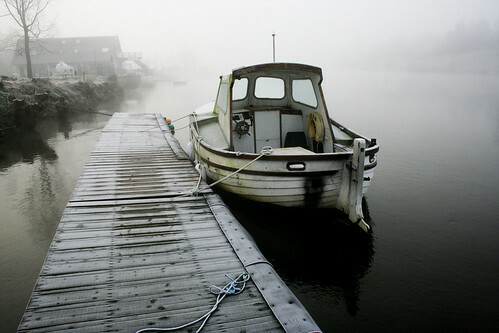 in ireland we had some amazing foggy and frosty mornings. this was down by the river bann. this one taken at the same time is also pretty neat. 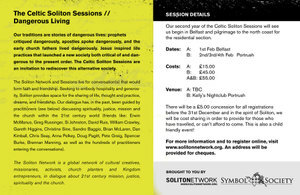 the soliton sessions are simply a chance for people to get together and share ideas, stories and conversations about faith, spirituality and mission. it's very relaxed and conversational in style. 50-60 people gathered from ireland, n.ireland, the us, canada, england, scotland. the sessions were spread across one day in belfast and then the weekend in kellys, the (in)famous night club in port rush on the north atlantic coast. as always at these things the best thing was the relationships - catching up with friends and meeting new people. it was great to see si johnston again - miss him being in london. between him and gareth higgins they hosted the time. 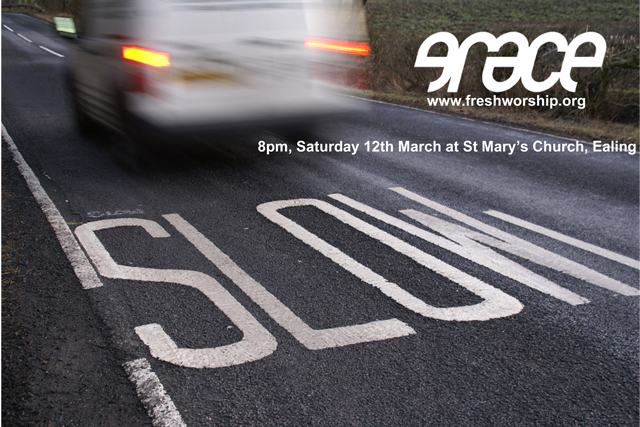 i led a couple of worship reflections - reworking some of the stuff from grace when we were rethinking who we were - see this service in the archive if you want the liturgy and this blog post for info on the video . and a couple of conversations. one that i hadn't anticipated i'd lead in advance but seemed to be worth talking about was about helping families and children in communities. i think the challenge here is that often these newer/emerging churches are focused on mission amongst a young adult crowd and not geared up to help families but it doesn't take long before people in the community start to have some! whilst the traditional sunday school approach isn't what people are looking for it's good to talk about expectations and ideas to help support families helping their childrens' faith be nurtured. i stayed with jonny and susan from ikon when i was in belfast (thanks guys). jonny has started a blog posting what he is on his easel in the studio at the time. he also gave me a quick demo of ableton live which was cool might have to try it out. ikon have their first service tonight in their new venue - the black box. it's a wonderful space and of course couldn't be a more apt name. the visit also co-incided with an ikon art exhibition at the waterfront - co:ordinates exploring the co-ordinates of ikon. it officially opens tuesday evening but i was around when it was being put up so got a sneak preview. 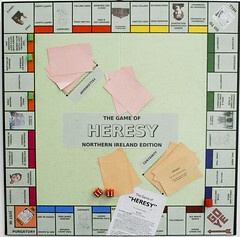 amazing to have a community with so much artistic talent - loved the heresy monopoly game created by michael. i will add some pics to flickr later this week when i get a moment (enjoyed meeting gail who is a photographer). 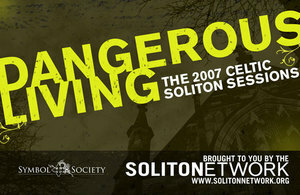 si johnston is hosting the celtic soliton sessions dangerous living in february in northern ireland. i'm looking forward to going over and taking part. info about dangerous living is here. click on the two images below to see a larger flier. this installation is designed so that you can take a piece of it home so please do. we hope that by taking home an idea from another culture thousands of our customers will show an acceptance of those cultures and perhaps even gain a greater understanding of them. if you like the poster image there is a limited 200 edition print run of those posters being sold at five pounds each. was great to catch up with jonny, susan, jane, carrie, kyle, pete, gareth and others from ikon. in true ikon fashion they are running an athiests for lent course - give up god and explore the works of freud, nietche, and marx (i think it was those three). i loved the sound of the monthly last suppers as well where 12 people gather with an invited guest. over a three course meal in a cafe the speaker presents material, it's discussed around the meal table and then explored further with the speaker. was also good to see david brown from CIYD (church of ireland youth dept), spike and others from cms, mark and heather houston, dave from echo... i didn't see a lot of belfast as it rained most of the time. alternative worship and emerging church seem newer on the agenda in ireland than england. at least that's the impression i'm left with as i'm sat typing this at dublin airport. i may be wrong of course (not the first time) but there seems more fear and less permission to reimagine church in the light of the cultural changes in the western world. i realise that the church's mind has been preoccupied with other issues for many years at least in the north. but i hope the emerge day helped spark a bit of thinking about mission, church and worship in the emerging culture and look forward to seeing what emerges in the next decade or so. brad has blogged a few thoughts. i think this is a conversation that is likely to grow in ireland. for people interested, a couple of future events i picked up news of - brian maclaren is booked in to do something in 2006 though i don't know details and i noticed stuart murray is booked at an event in november. i was really impressed with 3rock and greg fromholz who have been doing stuff in dublin and the surrounding area for several years, as well as david brown and the church of ireland youth department. it was also good to meet john hebenton from new zealand. he is the national youth network facilitator for the anglican church there and blogs at colourful dreamer. he was over on a sabbatical. had a good day with ordinands at the church of ireland theological college discussing cultural change and the church, leadership, mission and all that. got to see the book of kells in dublin which was a treat. the level of detail and care in the handwritten manuscripts and intricate images is amazing. here are some good scans of the book of kells. ikon have been working on an album dubh which we (proost) are publishing - it will be out in time for greenbelt this year. jonny and paul performed a few tracks at a late night show hosted by zero28 last night.